Novelty and fun animal design gifts as well as nicely detailed and crafted animal theme gifts too. Animal gifts that you'll find down at the sea, in the ocean and in the mountains. Narwhols, Flamingoes, Sharks, Pandas, Birds, Bees and Bunnies! (Yes I know Bunnies are in another section but it sounds good......Birds, Bees and Bunnies) !!!! Looking for wholesale animal related gift products? Then look no further than Sparks Gift Wholesalers, one of the UK's leading suppliers of wholesale gifts to the giftware trade. 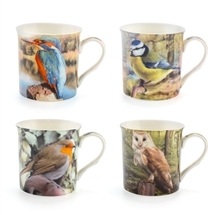 We stock a variety of animal design giftware. Detailed, fun, novel and thoughtful designs are available at great wholesale prices. We stock the latest trends and designs in 'Animal Gifts for the gift trade.